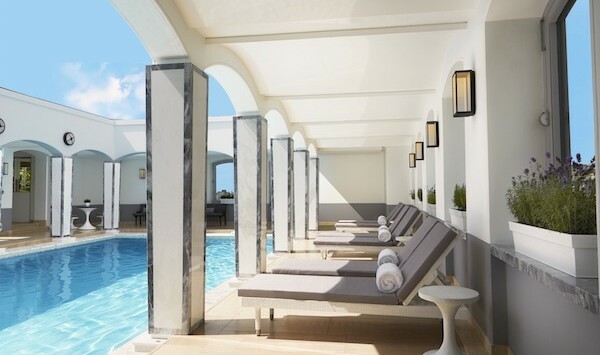 For a day spa massage, facial, full body treatment or a relaxing day all about you, read our guide to the best spas in London, including the luxury spas at The Corinthia, The Berkeley and The Connaught. For male grooming salons, please click here. Along with a full list of spa treatments, there is a selection of lifestyle treatments that focus on detox, sleep, weight loss, pregnancy and general vitality. The ESPA Life features a unique amphitheatre sauna, vitality pool, ice fountain and black mosaic steam room. 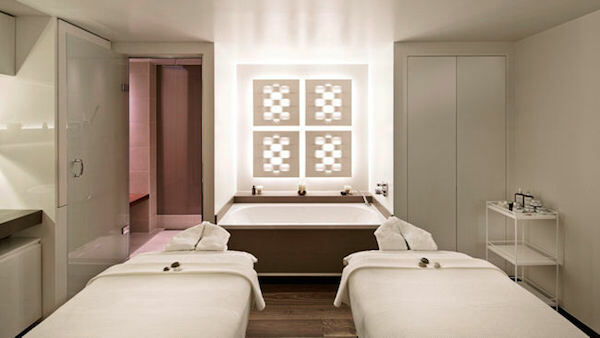 Sleek, indulgent and luxurious, The Spa at the Four Seasons Hotel in Park Lane provides a haven of relaxation for guests. 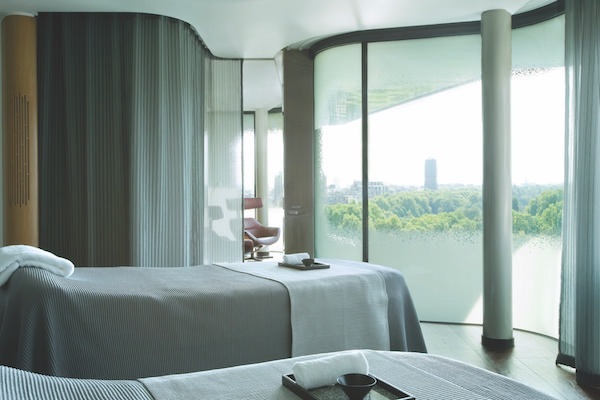 Located on the tenth floor of the hotel, the spa is a rooftop retreat with breath-taking, 360-degree views over London’s cityscape. I tried the Black Diamond facial, a deep cleaning facial especially designed by HOMMAGE for the male complexion. Black diamond dust is combined with a rich facial cream to deeply cleanse the face, clear pores and smooth the skin, followed by a face-toning massage. 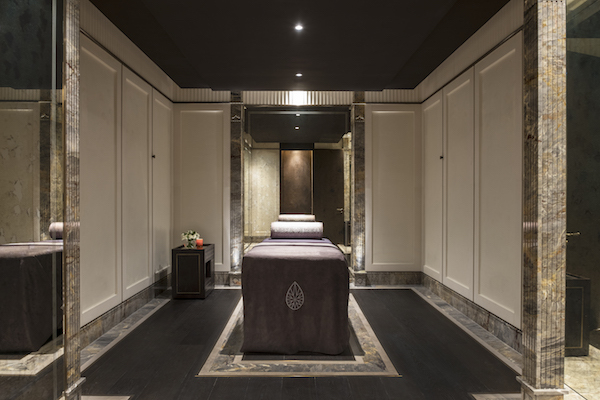 In the depths of the Mandarin Oriental hotel, a world away from the busy streets of Knightsbridge, The Mandarin Oriental Spa comes equipped with extensive heat and water facilities and expert therapists all packaged in a luxurious haven of well-being. 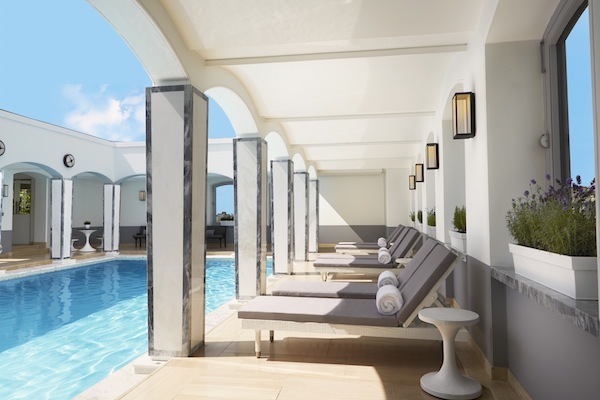 The spa at The Metropolitan Hotel in London is called the COMO Shambhala Urban Escape, and it really does feel like an escape. With a simple white design and light wood furniture, it immediately feels peaceful and relaxing. 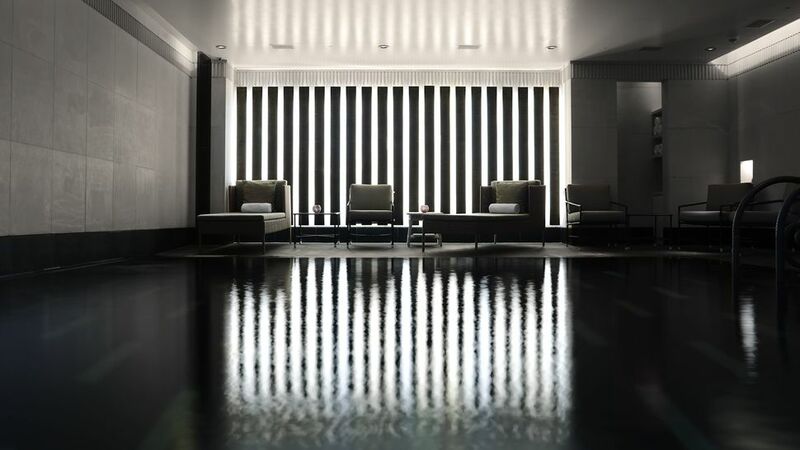 One of my favourites spas in London before the hotel transformed into the Rosewood London, I’m pleased to say that the facilities have become even better. 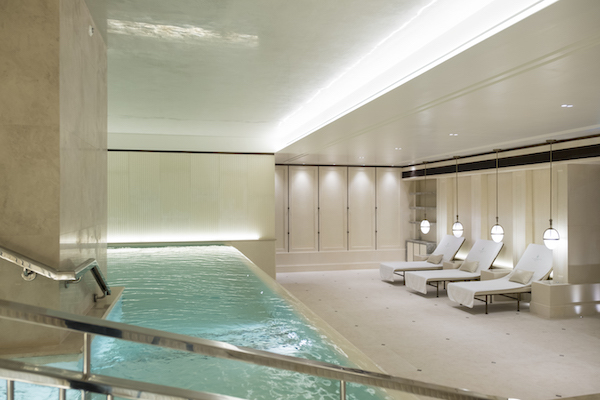 The Spa at The Dorchester exudes art deco glamour with a contemporary edge that ensures both a decadent and luxurious feel throughout. 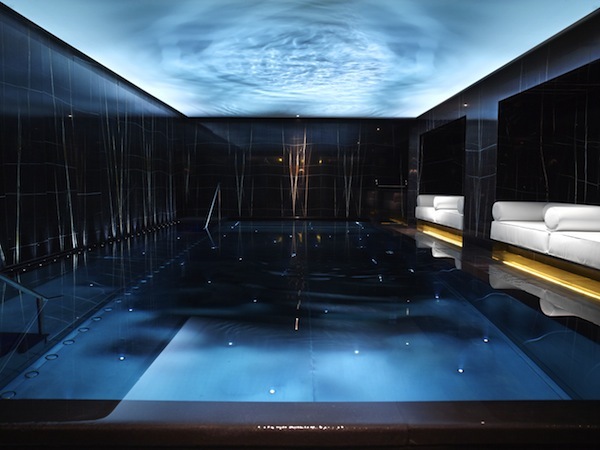 London Marriott Hotel Park Lane has completed the renovation of their spa, The Club, which features the only hotel pool on Park Lane. 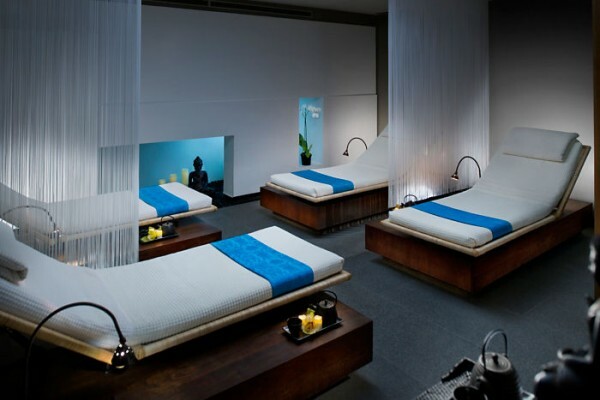 The 10,000 square-foot Agua Spa‘s all white décor provides a calming atmosphere for the meditation beds, 14 treatment rooms and chill-out zones. The Lanesborough Club and Spa‘s décor is luxurious with its glossy wood panels, heavy use of marble and silk wallpaper. The spa’s facilities include a large gym with personal training by Bodyism, a hydrotherapy pool, sauna and a range of thermal treatment rooms. 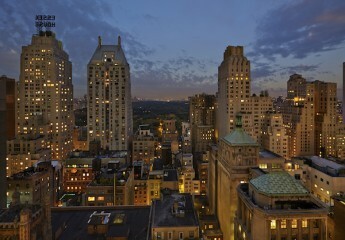 What remained with me after my visit is that there was such a sense of space and serenity. And what a beautiful space it is. I tried the deep tissue potali massage, which uses hot stones during the massage to help reduce inflammation and soreness. Designed to improve blood and lymph circulation, but more than anything, deeply relaxing and rejuvenating. As far as London hotel spas go, The Lanesborough Club and Spa is certainly one of the most luxurious where you could easily lose a whole day to pure pleasure. 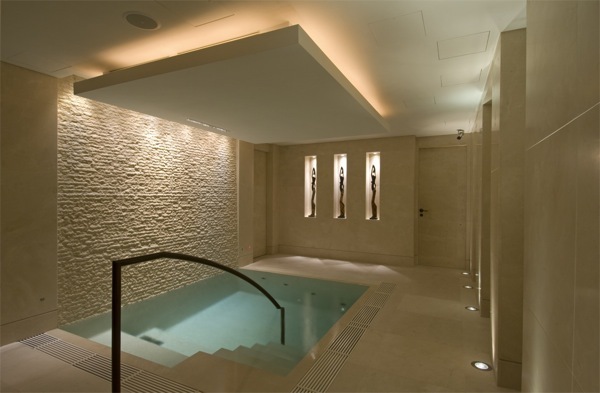 Hidden in a residential area in Chelsea is a beautiful spa with a dedicated yoga space attached. 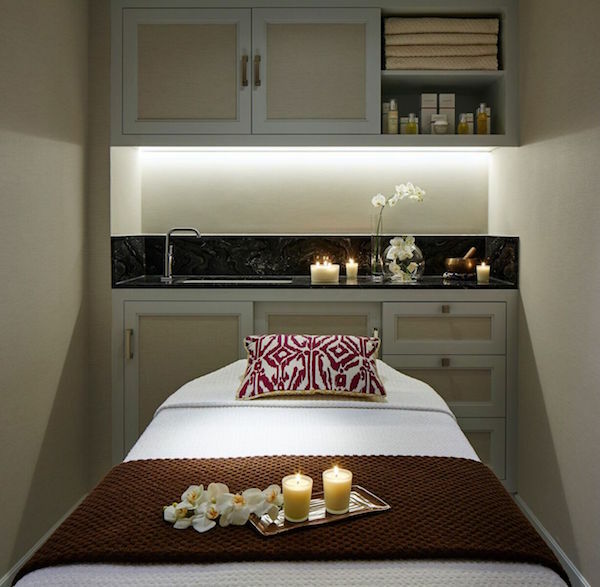 Behind the heavy doors of the grade 2 listed Edwarian townhouse is the Ushvani Spa, abundant with elegant touches and radiating tranquillity. Throughout the spa the hibiscus flower features alongside original carvings and sculptures, which have all been commissioned from craftsmen in Malaysia. Facilities include showers laden with nutmeg and ginger scented hot air and a lovely hydrotherapy pool. If your feet need some attention, look no further than DG Podiatrist on South Molton Street in Mayfair. 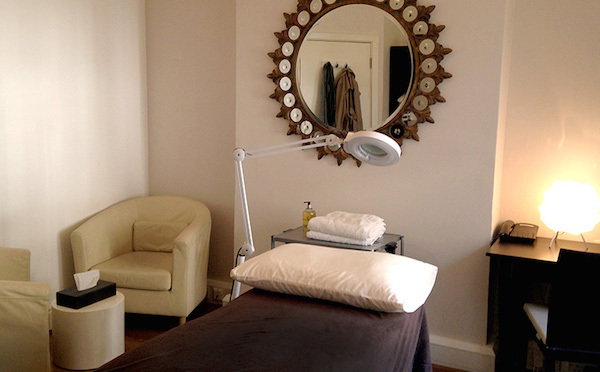 Expert podiatrist Dina Gohil offers traditional podiatry with a luxurious twist. In addition to sorting out the usual problems and full chiropody treatments, she also offer a 60 minute ‘walk the walk’ biochemical treatment to assess your gait, posture and foot function. Contact us to receive 25% off your first treatment. 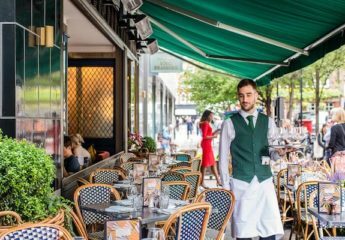 If you enjoyed this feature on the best luxury spas in London, read our guide to the best male grooming salons, the best luxury hotels in London or perhaps you’re interested in our guide to London hotels with swimming pools? Note: We were invited to try some of these spas; others we paid for ourselves. Regardless, this is a guide of the venues we would suggest for the best spas in London, based on honest feedback. You can view our editorial policy here. 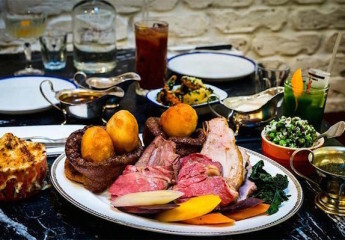 Roast beef or lamb? Rare or medium rare? Extra gravy?